With a small cohort of between 50 and 60 students, you’ll be able to form a close working relationship with your academic staff. 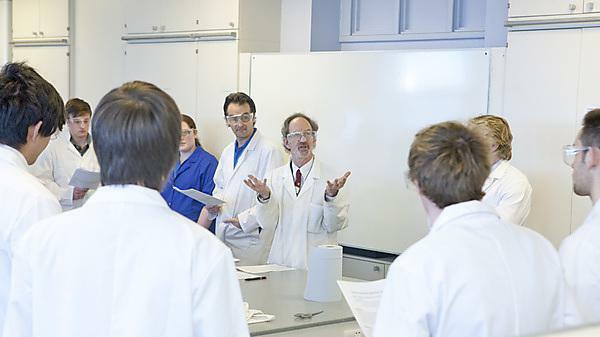 They are all professional chemists and Members or Fellows of the Royal Society of Chemistry and are always on hand to provide guidance and advice. To ensure we are constantly improving our teaching methods, you’ll be encouraged to have a say in how the course is run. We have developed the course to make use of the latest teaching methods, materials and technology. We regularly work with scientists from all over the world, visiting other research centres and hosting international visits from other researchers.